NFHS Basketball Points of Emphasis 2018 -- The NFHS Basketball Rules Committee remains concerned with the number of reports of improper uniforms, uniform adornments, and non-compliant accessories being worn by players in games. State associations report that an inordinate amount of time is being spent with interpretations, clarifications, and reminders concerning items worn on both the arms and legs that contradict current rule language. At the same time, there is not unified support according to nationwide questionnaires for either more restrictive or less restrictive rule code changes. If there is less than 3 feet of space, the dribbler has the greater responsibility for the conduct. 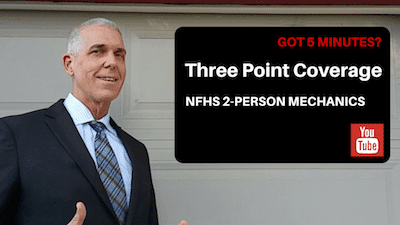 Basketball referee get your game video via email. Proven Method! At A Better Official we use video instruction to help basketball officials get better and to achieve their officiating goals. 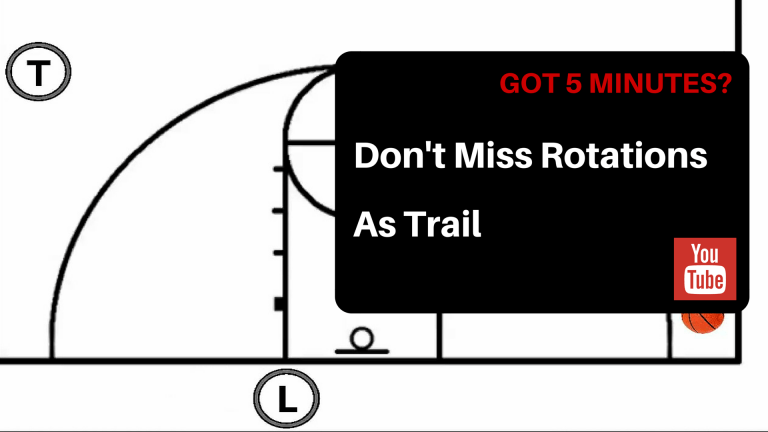 Avoid missed rotations as Trail. 3-person mechanics. 3 Person Mechanics. Cues as the Trail to help you be in the right position at the right time. One of the most inconsistent areas of 2-person mechanics is three point coverage. Stay up-to-date with plays, analysis, tips and tactics to keep your game sharp and ensure you are on the path to achieving your goals as an official. Get our best tips, exclusively for subscribers only.